This is the third article in our 2014 Week of Photo Journals: Changing Perspectives. Check back each day this week to see more beautiful photography and travel accounts from UC San Diego students. Cusco, Peru. The location has been surrounded with an air of mystery, adventure and exoticism since it was made famous by Hiram Bingham’s ‘discovery’ of Machu Picchu in 1911. National Geographic later published photos from his voyage, which introduced readers around the world to a new sensational imagery. Today, the obsession continues, and tourists flock to Cusco in order to experience the wonder and awe brought forth by this discovery made over 100 years ago. But is it the same? Not quite. Cusco, which was once the capital of the great Inca Empire and one of the most powerful cities in the world, has become a place of rapid modernization and pop-up tour agencies, often hiding the magical wonders that quietly exist outside of the “tourist circuit.” As a student living in Peru, I had the opportunity to observe and discovery the other Cusco—the one filled with both modern and ancient stories. It was this Cusco that introduced me to the true Cusqueños who live there and let me see the wonders that were not so obvious at first glance. Ceremonial rising of the flag. Plaza de Armas, Cusco. Every Sunday, local government officials gather in the main square to honor various groups and organizations, as well as raise the cities flag with pride. 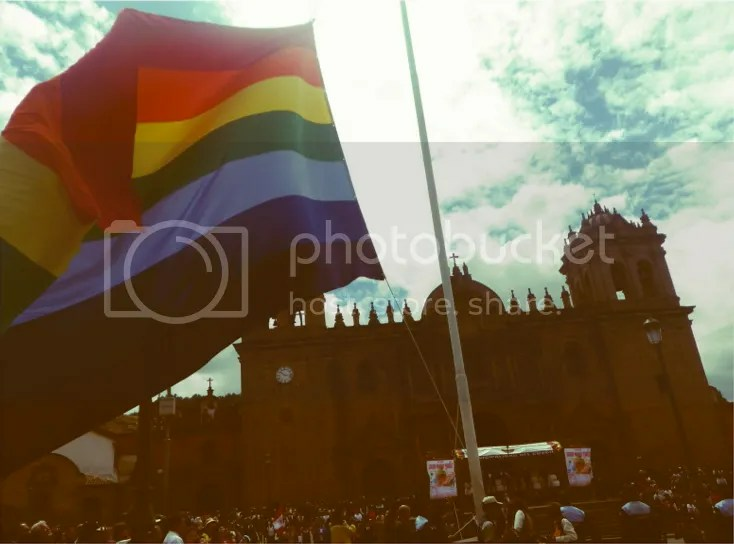 Ironically, the city shares the same flag as the Gay Pride movement in the United States, and this connection has not been received well by the dominant “machismo” community of Cusco. Here, the rainbow signifies the origin of the Inca Empire, when, according to Inca myth, the founding emperors chose to settle in the valley of Cusco after a thrown staff sank deeply into the fertile grounds and a rainbow appeared overhead. One of the most entertaining subjects among travelers is the Peruvian dependence on buses for almost all transportation needs. 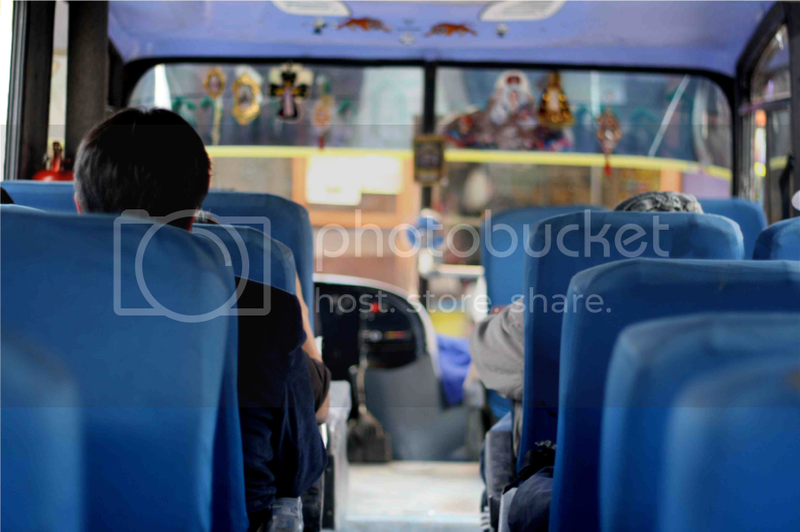 In town, kombis, or small buses, are often packed to the brim with locals. While convenient and cheap, some of the buses can be extremely uncomfortable and at times dangerous. Nevertheless, bus rides always tend to be colorful experiences. Unlike our dreary public transportation system in the United States, bus drivers in Peru take pride in their vehicles, and often go to great extents to decorate and customize them with religious symbols and soccer accessories. 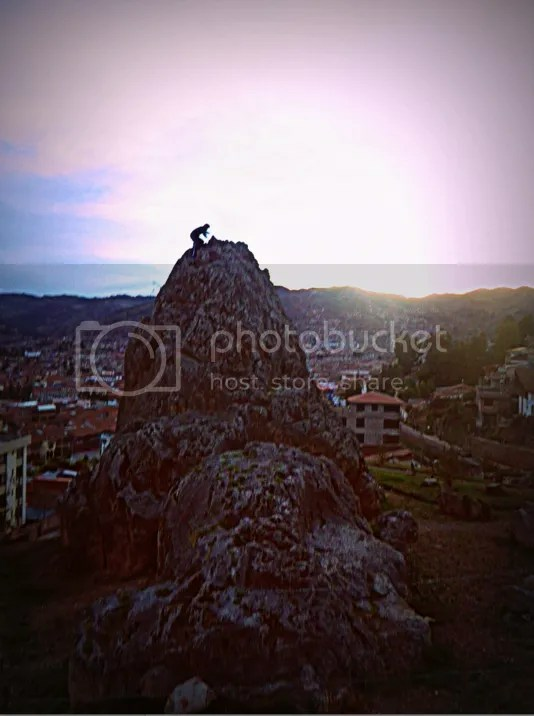 As you climb further into the hills surrounding the city of Cusco, the views become more spectacular while the architecture becomes less appealing. These barrios, or “neighborhoods,” tend to consist of the most basic homes with people often reusing materials for construction purposes. 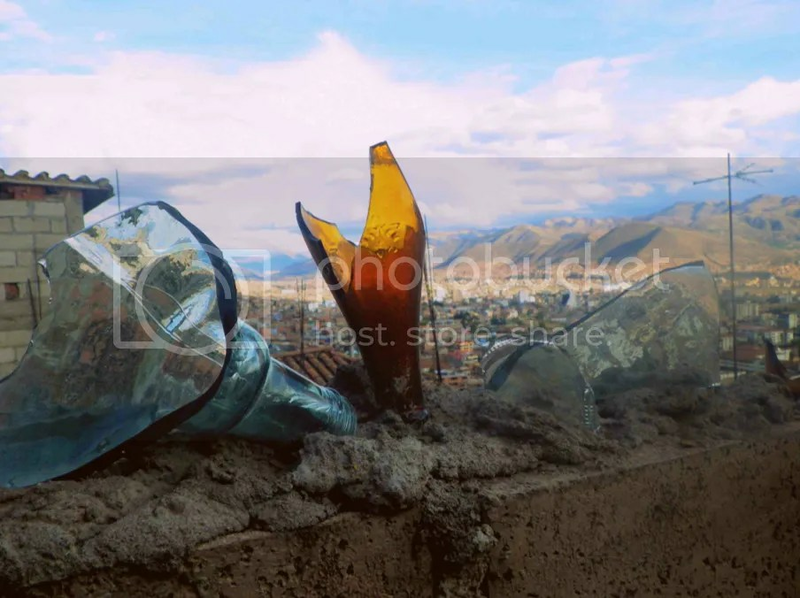 Broken glass bottles are often found atop walls. The other popular security measure is to plant cactus directly into the mud brick walls. While somewhat crude, these uses can be effective and at times even beautiful. Dia de Los Muertos Flower Market. While Americans busy themselves with preparations for Halloween, Peruvians begin preparing for two national holidays which take place on Nov. 1 and 2—Dia de Los Vivos and Dia de Los Muertos (the Day of the Living and the Day of the Dead). These holidays are meant to celebrate the cycle of life, starting with a celebration of life and ending with a remembrance day for those who have passed on. 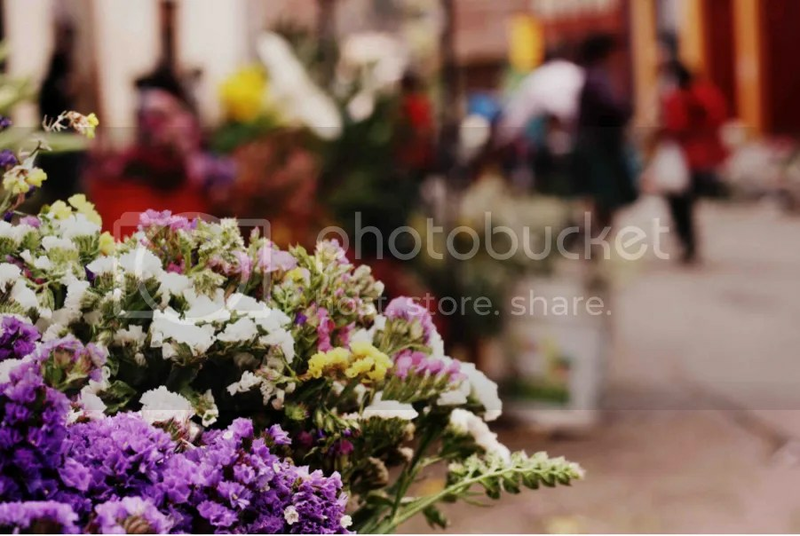 During this time, it is very common to see flower markets appear along the streets and plazas, with almost every local purchasing floral offerings for their deceased. Just outside of Cusco lies the Sacred Valley, a lush agricultural area that sits along the bottom of a magnificent valley. 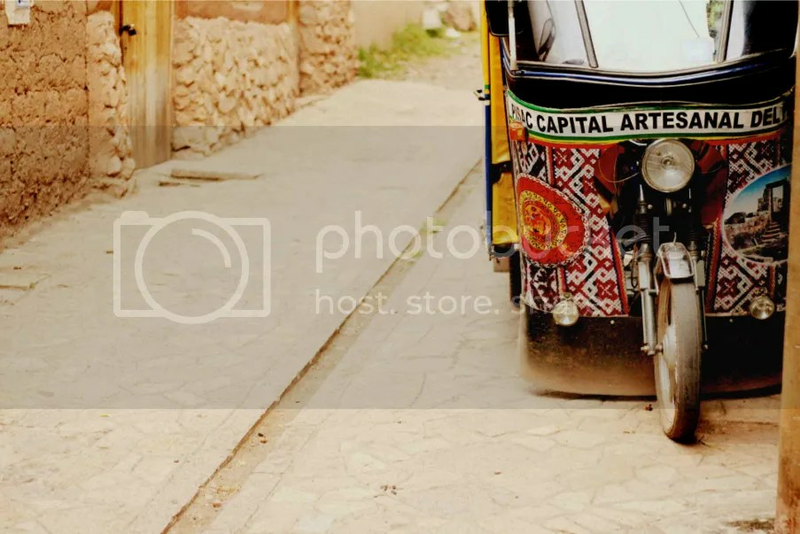 Small towns dot the countryside, and transportation ranges from the public buses and taxis to the tiny tuk-tuks, or covered motorcycle cabbies, which act as the main traffic in the small roads crisscrossing through the towns. These can get especially colorful because drivers often compete for best designs in a unofficial competitions. As the city of Cusco grows at an increasingly rapid pace, ecosystems in the vicinity of the city have quickly disappeared. Places like the Parque Privada de Santa Maria have attempted to conserve sections of wildlife space in outlying neighborhoods. However, these areas are constantly faced with financial problems and lack of resources, holding their position as the only conservation park in Cusco on very shaky ground. 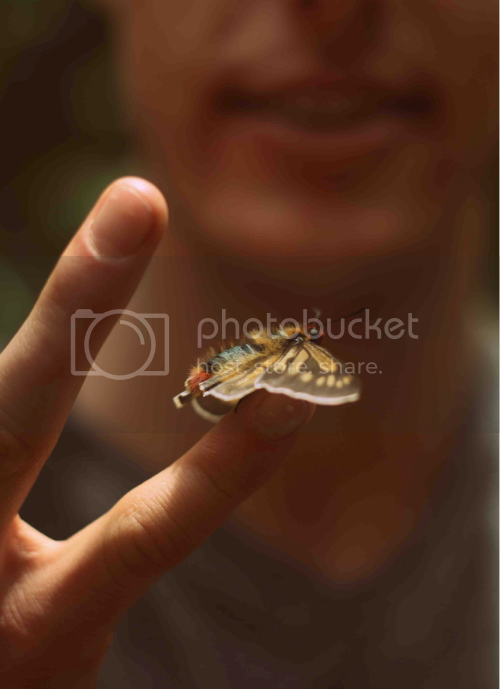 This area is home to a variety of plant and animal species endangered in the area, including this moth, whose larvae was once eaten as a delicacy by the Inca nobility. Throughout Andean history, natural formations have held very important religious roles among the people. The fact that so many were dependent on the land for survival made certain landmarks very obvious places of worship. When the Spaniards arrived in Cusco, they calculated that the Inca Empire oversaw at least 3000 of these “shrines,” which ranged from fresh water springs to massive rocks and large obscure trees. Today, many of the huacas have been forgotten or destroyed. But some have lived on, such as this boulder that overlooks the city. While these historical sites are virtually unknown to tourists, they are carefully looked after by the local Cusqueños who live around it and hold as a very important place in the history of Peru.